Identity theft can happen to anyone, even those who take precautions with their information. The real damage occurs when the information shows up on your credit reports, preventing you from accessing your credit. Don’t let identity theft stop you in your tracks: use the following steps to get back your good name. If you live in Alexandria, Virginia and believe that you have been the victim of identity theft, you should file a police report with the Alexandria Police Department. You can call their non-emergency number at (703) 746-4444 to learn how to file a police report. Be sure to keep a copy of your police report for your records and so that you can include a copy in letters to credit reporting agencies and credit furnishers. You should also contact the three major credit reporting agencies: Experian, Equifax, and TransUnion to place a fraud alert on your credit file and obtain a copy of your credit file. Make notes of any inaccurate credit information or identity theft accounts that you find and detail them in a dispute letter to the credit reporting agencies. Be sure to include any supporting documentation that you have with your credit dispute package. Keep a copy of your letters, as well as any mail or email that the credit reporting agencies send you. At any point in this process, please feel free to contact our office for information or assistance at (571) 313-0412. If all of these steps have been taken, but there are still inaccurate items on your credit report, you have the option to fight back. Credit reporting agencies can be held responsible for improper credit dispute investigations or reporting inaccurate information about your credit history. 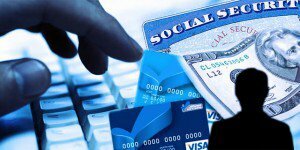 We can help be there every step of the way as Northern Virginia identity theft & credit dispute attorneys.